Home Network Comparison Free Wi-Fi Hotspots: Which UK Networks have this data saving perk? Free Wi-Fi is not the first perk considered when making your SIM purchase but the right proposition does add some value. Almost all the networks in the UK now have 4G speed as standard and with the likes of EE offering up to 150 MB/s data speeds in certain locations free Wi-Fi connectivity is becoming less important. However, these still represent a great opportunity for customers to save on their data allowance & take advantage of Wi-Fi access in areas with poor mobile connectivity. Benefits of a Wi-Fi hotspot access as part of your plan? If you use tons of data or usually go over your mobile allowance, having Wi-Fi hotspot access as part of your plan may come in handy. Getting access to Wi-Fi hotspots can help you get things done whenever and wherever. You get to perform light tasks like downloading a file, or more important ones such as staying connected with friends & family. How important Wi-Fi hotspot access is to you is probably down to your data habits, if you’re generally a higher data user you’re probably looking for an opportunity to save on your allowance and this provides a great opportunity to do so. What our free Wi-Fi rankings are based on? Data speeds on Wi-Fi hotspots that at least match the 4G data speeds being offered. The wider the geographical area covered by the Wi-Fi hotspots, the higher they rank. Simplicity of use is important, networks that auto-connect your device to Wi-Fi when nearby a location help save time on entering in log in details. We have made a comparison of the most popular networks in the UK with Wi-Fi data offerings and each of them come with a few pros and cons. However, several other factors may influence your final decision in opting for what suits you the most. 7. Which networks don’t have additional Wi-Fi hotspots? First place in our rankings is BT Mobile. With BT Mobile, your days of struggling to stretch your data allowance through the month are over. BT Mobile has more than 5 million Wi-Fi hotspots in the UK & over 18 million worldwide. If you are on BT mobile network, you can most probably rely on Wi-Fi access nearby which will help save your data. BT Mobile customers with specific plans can also enjoy seamless streaming of live matches and easily share a friend’s BT Broadband without having to ask for their login credentials. All you need to connect to BT’s hotspots is the BT Wi-Fi app which requires downloading and one-time registration and login to get it running. 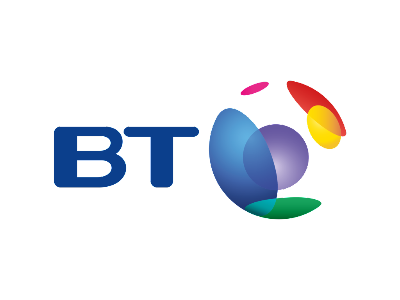 BT Mobile also offers several additional perks including great family plans & it runs on the fastest network in the UK, read our comprehensive BT Mobile review to learn more. Virgin Mobile comes in a fairly close second. For all pay monthly & PAYG customers, Virgin Mobile offers access to over 3.5 million Wi-Fi hotspots nationwide. Virgin Mobile also offers access to Wi-Fi connectivity on the London Underground. As long as you have a Virgin Mobile SIM in your device you can surf the web using Wi-Fi data at over 250 London Underground stations. Virgin Mobile, like BT Mobile, is also on the EE networks, which means access to the fastest 4G data speeds in the market. So, whether you are using your 4G data or Wi-Fi access you will get super fast data speeds. A lot of the Wi-Fi hotspots are also in convenient public locations such as pubs, coffee shops & restaurants. Just download the Virgin Mobile app & get set up. After you set up, you automatically connect if your Wi-Fi is switched on and a Wi-Fi hotspot is nearby. If you want to learn more about Virgin Mobile read our comprehensive review. Tracking behind Virgin Mobile is O2. The O2 network is one of the top providers of free Wi-Fi in the U.K. With over 15,000 hotspots to connect to for free regardless of whether you are an O2 or non O2 customer. However, if you are an O2 customer, you will be able to benefit from their improved Wi-Fi service (O2 Wi-fi Extra). O2 Wi-Fi Extra will only connect you to a hotspot if the signal is stronger than your 3G/4G mobile connection. And it works on pay monthly or pay as you go plans. If you have an O2 SIM and a compatible device, their automatic Wi-Fi service will connect you to one of 7,000 hotspots automatically; no registration or log-in required. Plus, you get to enjoy free underground Wi-Fi if you are in London. 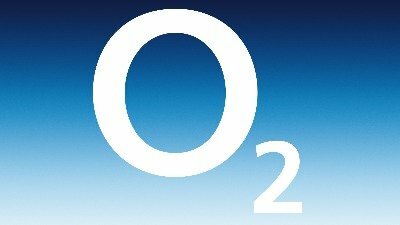 If you want to learn more about O2 read our comprehensive review. EE is owned by BT. This might suggest that their Wi-Fi offering might match that of BT Mobile, in the same way BT Mobile runs on EE’s network. Unfortunately, that isn’t the case. EE’s Wi-Fi hotspot access is limited to the London Underground only. With an EE SIM in your device you get access to Wi-Fi at over 250 stations on the London Underground. EE Wi-Fi is provided by Virgin Media and will work on pay monthly and pay as you go plans, and requires only a one-time login. The network automatically recognizes your device after the first use. All plans on the EE network come with free Wi-Fi but pay as you go customers have a minimum top up requirement for access. EE also offers customers free access to premium subscription services such as the BT Sports App & Apple Music, check out our detailed EE review to learn more. Three is one of the leading network providers in the UK. Though an award-winning company, we must admit Three’s Wi-Fi is not the most impressive. Similar to EE, Three’s only inclusive Wi-Fi offering is on the London Underground with access at over 250 underground stations. Three customers can register for free, and then any future access is automatic with the device recognised when at a hotspot location. Despite not having great Wi-Fi hotspot access, Three gets a lot of other things right, including roaming at no extra charges in popular worldwide destinations such as USA & Australia. To learn more, check out our Three review. Just like the 3 network, Vodafone offers free Wi-Fi on 250+ London Underground stations. Vodafone’s free Underground Wi-Fi works the same way its contemporary service providers do (O2, EE, Virgin, and Three). Vodafone pay monthly customers will have their devices connected to a Vodafone hotspot automatically after a one-time registration and log-in. For pay as you go users to be able to access these hotspots, an active Big Bundle on the phone is required. If you want to learn more about Vodafone read our comprehensive review. Sky Mobile has 20,000+ locations where you can connect to their hotspots for free. However, this service isn’t limited to Sky Mobile customers and is available to everyone. However, being a Sky Mobile customer makes it a bit easier to use the service. With your existing Sky login, you can access the free wi-fi; whereas non-Sky customers will have to create a Sky Wi-Fi account. Sky Wi-Fi access is in a number of convenient public locations, but unlike a number of the other networks there isn’t London Underground access. If you want to learn more about SKY Mobile read our comprehensive review. Which networks don’t have additional Wi-Fi hotspots? All the major networks in the U.K. offer some kind of free Wi-Fi. We’ve seen how these networks compare in the review. Some networks, however, have no Wi-Fi hotspot access. These networks are a number of the smaller virtual operators – despite not offering free hotspot access they have a number of other perks or provide great value plans. Some of these other networks include VOXI, Tesco Mobile, ID Mobile, giffgaff, Plusnet Mobile, The People’s Operator and SMARTY. In our review, BT Mobile comes out as the clear winner. With over 5 million Wi-Fi hotspots & a further 13 million in other countries BT has the widest coverage by a long way. With the access free & unlimited and a simple app used to allow automatic access when nearby, BT Mobile is a great option if you’re looking to save on data with Wi-Fi access. Previous articleThree vs SMARTY: Money back on unused data or inclusive roaming in 71 destinations worldwide?